There is interesting stereotype that the ideal tools for designers are Apple devices with OS X and iOS. Regarding UI/UX design — it is explainable. Products such as Sketch and Principle, have great advantages: small consuming of resources, intuitive interface, low price. When it comes to devices, laptops and tablets, items from Сupertino look awesome. But in light of recent events, such the the launch of new Microsoft products and the AdobeMax conference, that stereotype might be changing. A new group of products is about to take the design market by storm. 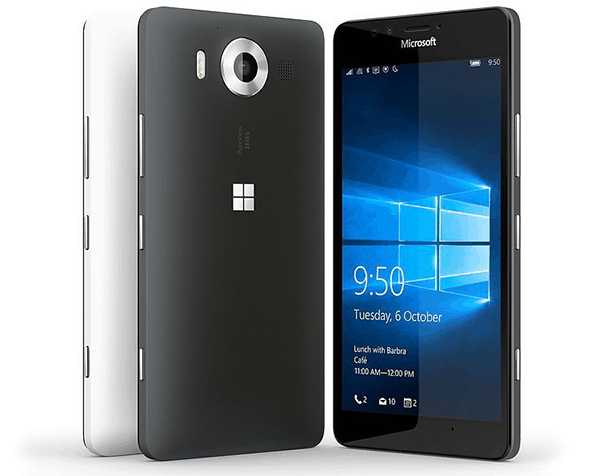 Microsoft has one big advantage — it is one platform for multiple devices. And their main competitor, Apple, doesn’t have it. According to Tim Cook’s interview, there must be two different operating systems. I won’t list different technical specs of these devices. They are not as interesting as the experience of using Lumia, especially the Continuum feature. 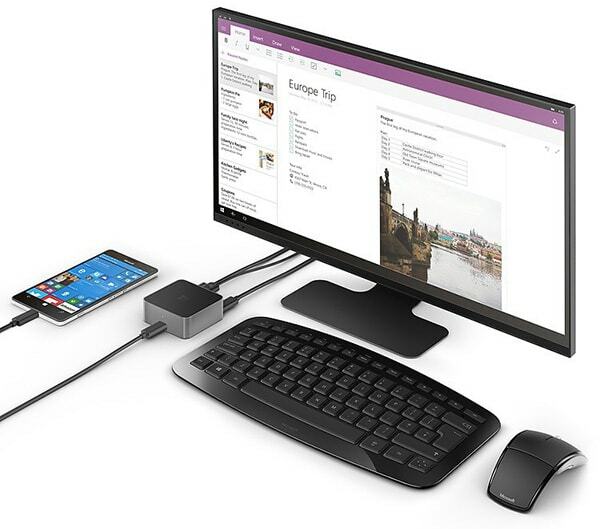 It allows to connect a Windows 10 Mobile smartphone to a display dock and monitor, and get a full PC experience. Considering productivity of the modern devices, we can easily work with vector graphics. I hope that Adobe will take care about adaptation of Project Comet. If we talk about Continuum in corporate use, this function is a huge plus. Users have only one device and multiple profiles. Connects the device to the dock, depending on location (home or office) and the appropriate profile will be activated, and user will get access to all necessary tools and services. There is only one question: what do we do with incoming calls? Bluetooth headsets or earphones? Many of us don’t like talking in the workplace, we like to go outside of the office or to the nearest cafe. We don’t want other people to hear conversations. Anyway, I think Microsoft will suggest some interesting solutions. This tablet has different configurations and can be used as tablet or laptop, plus it is equipped with a stylus which doesn’t concede to Pencil from Cupertino company. I think that this device can compete directly with several devices from Apple — iPad Pro, last generation of iPad Air and Macbook Air. 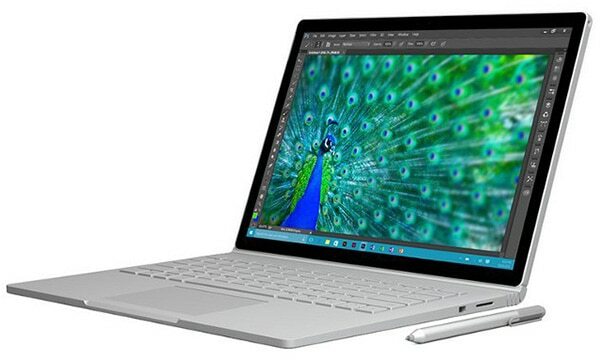 Surface Book is the first notebook from Microsoft. Looking at capabilities and tech specs, it leaves Macbook Pro far behind, adding a pad and stylus. The powerful laptop with magnificent design can become an excellent device not only for UI/UX designers, but also for any person who wants to get comfort from work process. It is high-power tablet and transformer in one. “But there are no Sketch and Principle on Windows!” — you say. Yes, everything is correct. And at the beginning of 2016 Adobe will have a surprise for us. 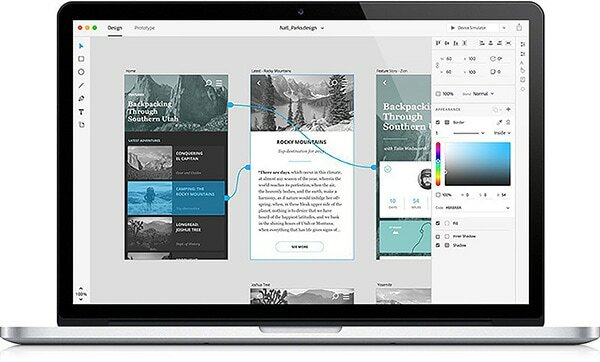 At the conference, Adobe told us about Project Comet which can become the explicit competitor for Sketch, Principle, Flinto, Zeplin, and so on. Intuitively simple and very fast. Viewing of design and prototypes on real devices. Tight work process with Creative Cloud products. Collaboration, commenting and specs for developers. Extension of a functionality by plugins. Project Comet will be able to replace all of them, plus works in the native environment with Illustrator and Photoshop. One operating system on multiple devices. Powerful, mobile, hybrid devices. 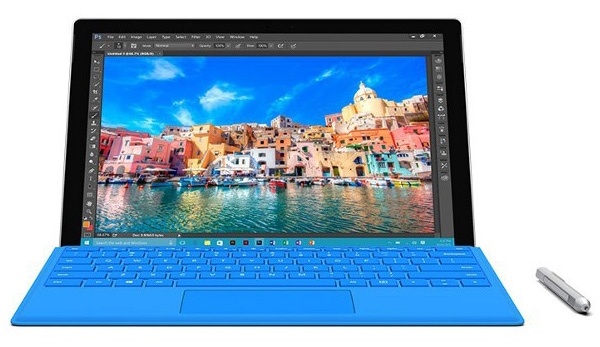 There is no need to have both, laptop and tablet, from Microsoft. One tool under needs of UI/UX designers. Devices and operating system from one company that implies the maximum compatibility and optimization. By the way, it is one’s best cards of Apple company. Hybridism. After all, tablet and laptop are different devices. And in case of connection of the hair dryer and refrigerator it is hardly possible to receive something useful. Safety. Definitely, Windows 10 exceeds the predecessors by this criterion, but the Apple operating system is more protected at the moment, thanks to UNIX architecture and the Rootless technology. If to provide that on the market of desktop operating systems OS X is very popular, the situation would be reverse. And how much will all this cost? Let’s compare the following sets: smartphone, tablet and laptop. But don’t forget Microsoft, Surface Pro 4 and Surface Book can work as two last devices. Considering the fact that the laptop and tablet from Microsoft can replace each other and work with vector graphics easily, set of Lumia + Surface Pro 4 or Lumia + Surface Book will be an excellent choice, and anyway, will be cheaper, than a set of devices from Cupertino. And we don’t have to talk about the design of the Microsoft laptop, tablets and phones. They are awesome. These are only my thoughts. I work using iMac + Sketch + Principle + Zeplin. But with pleasure would work using Windows if there was a good and fast software option aside from Illustrator and Photoshop. We are still waiting. P.S. A question for usability experts from Apple: Do you really think the split view feature in El Capitan works intuitively? About your question: I actually use the split screen feature just for web development never for design, coding and testing on split view, but it took some time until I got familar with it, so nope it’s not intuitive for me. For the time being you are very correct. However, with a push for windows universal apps, this will hopefully not be the case forever. Hopefully as developers and the Ump apis get better, we will start seeing better use of this technology. i think it is very possible to do so. Of course right now MS is even making there universal apps fully functional. Targeting what they are saying that for now is cross platform feature sets. Basically features that are common across all platforms (including web). As these begin to develop more i think we will really see these universal apps take off. Anyway, the UWP framework should make it very easy for companies like adobe to publish there app with certain feature missing or even added based on device family. Time will tell if developers really will latch onto this. I am hoping so myself, but we will just have to wait and see. Heard that from my Microsoft MVPs friends, who are very aware of all this kind of stuff. And in truth, you dont need these guys to see that windows phones are based on ARM processors, which means no x86 programs can run on it, just like the old RTs. Are u kidding me… who uses Windows for web design/web dev/ and similar..
Man if the only reason you guys use macs is Sketch then I guess something is a little off.